On 23 March, President Trump signed into law a massive spending bill. Buried on page 2025 of the spending bill, available here, is the following amendment to Section 203(m) of the Fair Labor Standards Act (FLSA), the federal wage-hour law (the law governing employers’ obligations with regard to employees’ wage rates and hours). Contributor Jeffrey D. Mokotoff of Ford Harrison LLP. The new law also states that any employers who violate this rule will be liable to the employees for the amount of the tips that were taken, ‘an additional equal amount as liquidated damages,’ and ‘a civil penalty not to exceed $1,100 for each such violation,’ as the U.S. Department of Labor (DOL) shall determine. The back story to this change in the wage-hour law is important to understanding its impact on wage-hour enforcement going forward. In 2011, the DOL amended its tip regulations to limit tip pool participation to only those employees who customarily and regularly received tips regardless of whether employers used a tip credit to compensate their employees (2011 DOL Rule). Thus, according to the DOL, an employer, even if it paid a tipped employee at least the minimum wage, could not require its tipped employees to share their tips with back-of-the house employees (such as dishwashers, cooks, or others who did not customarily and regularly receive tips). Then, in December 2017, the DOL proposed a rule that would allow employers to require the sharing of tips with employees who do not customarily receive direct tips (such as restaurant cooks or dish washers), so long as the employer paid employees the full federal minimum wage of USD 7.25 per hour (2017 DOL Proposal). Employers who use the tip credit option to satisfy the minimum wage obligation would not be allowed to require the sharing of tips with workers who do not customarily receive tips. The 2017 DOL Proposal was controversial, with critics claiming it would unfairly permit employers to retain a portion of their employees’ tips. In order to protect employees’ tips, language and new penalties were inserted in the spending bill. Unfortunately, the passage of the new spending bill creates more, not less, ambiguity. On the one hand, the new law expressly states that the 2011 DOL Rule ‘shall have no further force or effect’ and, thus, leaves the door open for the DOL to implement a final rule that is more in keeping with the 2017 DOL Proposal. On the other hand, that has not yet happened. The new law has, however, sharpened the remedies that plaintiff’s lawyers and the DOL will seek (the return of the tips taken, liquidated damages and higher fines set by the DOL) when finding violations of the tip pool law. The new law also created an apparent ambiguity because it did not define ‘manager’ or ‘supervisor’, potentially allowing employees to argue that team leads or others who have some authority to direct employees and who share in tips are not allowed to be a part of tip pool. However, on 6 April, in response to this ambiguity, the DOL released an internal Field Assistance Bulletin (FAB). In this FAB, the DOL provided guidance concerning its enforcement of the tip credit rules after the amendment. 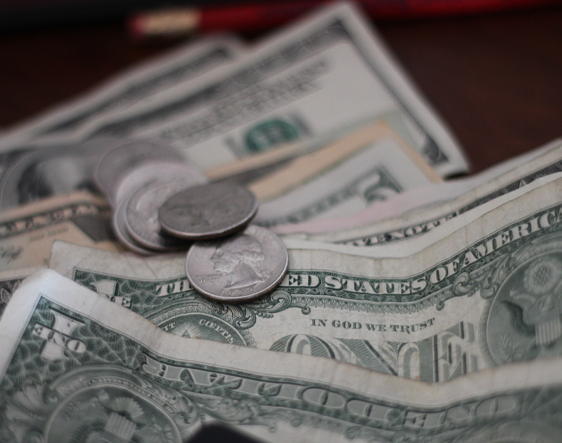 The FAB states that employers who pay the full FLSA minimum wage are no longer prohibited from allowing employees who are not customarily and regularly tipped – such as cooks and dishwashers – to participate in tip pools. The FAB reiterated that the FLSA prohibits ‘managers’ and ‘supervisors’ from ever participating in tip pools and defined these terms using the Executive Exemption under the FLSA. More specifically, a ‘manager’ or ‘supervisor’ is someone: whose primary duty is management of the company or of a customarily recognised department or subdivision thereof; who customarily and regularly directs the work of two or more other employees; and who has the authority to hire or fire other employees or whose suggestions and recommendations as to the hiring, firing, advancement, promotion or any other change of status of other employees are given particular weight. Employers should note that the new law does not overrule state laws that provide greater restrictions regarding tip pooling. For example, New York regulations outright prohibit tip sharing with back-of-the-house employees. Employers who employ tipped employees look forward to a DOL rule that brings clarity and guidance to this issue. In the meantime, beware of DOL audits, which now could impose liquidated damages for any tip pool violations.